Aspen Pharmacare has agreed to sell its infant formula business to Lactalis for R12.9-billion ($865m) to focus on core activities while the French buyer looks to revive its baby milk expansion after a salmonella contamination scandal. Investors in the South African drugmaker appeared unimpressed, however, after expectations that the deal could top $1-billion. The company’s share price tumbled after the deal’s announcement on Thursday [Sept 13] alongside full-year earnings, dropping 26 percent before paring losses to stand 16.3 percent down at R228.06 by 1430 GMT. Rising incomes in emerging markets coupled with global population growth have made infant formula an attractive proposition in a market dominated by Nestle, Danone and Reckitt Benckiser which acquired Mead Johnson of the US last year. “The market expected Aspen to get $1-billion to $1.5-billion dollars,” Cratos Capital equity trader Greg Davies said, adding that there is also some doubt over Aspen’s stated growth expectations. FNB Wealth and Investments portfolio manager, Wayne McCurrie, said a “second disappointment” concerned Aspen’s rising debt levels and whether Africa’s biggest manufacturer of generic drugs had been forced to sell the infant milk business to reduce gearing levels. “The market is worried that they took a decision just on debt and not on the growth prospects of the business, because this business looked quite good,” McCurrie said. Aspen CEO, Stephen Saad, said the disposal was in line with “our strategic intention to focus attention on our core pharmaceutical business, which includes the anaesthetics, thrombosis and high potency and cytotoxic portfolios”. After R1.1-billion to be paid to partners in Asia-Pacific, Aspen will receive R11.8-billion, representing 23 times the unit’s earnings of R512-million, deputy chief executive, Gus Attridge, said. For Lactalis, meanwhile, the deal represents an opportunity to rebuild its baby milk business after a salmonella outbreak at its production site in northwest France caused dozens of babies to fall sick and led to a global product recall. The company’s head of communications, Michel Nalet, said the production halt in France was “one of the factors” behind the move for the Aspen business. “In infant formula, we didn’t have a base outside France. We had the desire to be a global player in all dairy businesses,” he said. Aspen’s nutritionals business sells infant milk formula in the Asia-Pacific region, sub-Saharan Africa and Latin America, and has been building a growing presence in the Middle East and China, the world’s biggest consumer of infant milk formula products. 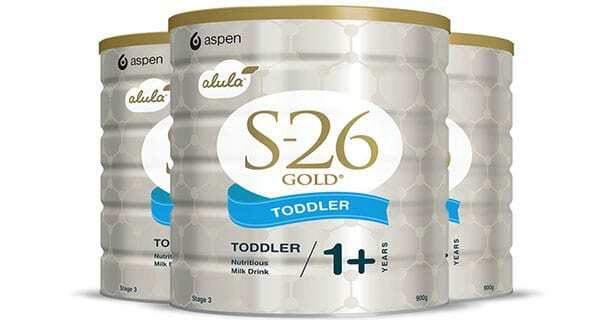 China’s Food and Drug Administration has approved the registration of its infant milk formula brand, Alula. The end of China’s one-child policy in 2016 is expected to result in a baby boom, creating opportunities for baby formula. Privately-owned Lactalis, which said the crisis could cost it hundreds of million of euros, decided the production line linked to the contamination should be closed permanently and is now awaiting permission from French authorities to restart output at its other production line. The acquisition will be funded with cash, Aspen said, adding that the proceeds will reduce its debt and that the deal is expected to close in the next six months. Lactalis will also receive any intellectual property and goodwill presently owned by Aspen Holdings and Pharmacare Ltd and Aspen Global Incorporated. Aspen’s infant formula business contributed R3.1-billion to group revenue in the year to June 30.